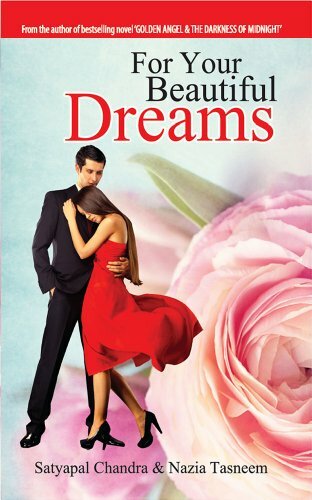 For your Beautiful Dreams by Satyapal Chandra - GOOGLE BOOK Free eBooks for Life! What would you do if destiny plays a very cruel game with you and make you apart from the person without whom you can't think to live? What do you think when you find that the person you love most in this world hates you more than you can ever think? This book narrates a love story that also poignantly depicts emotions like sacrifice, agony and, sometimes, even frustration. It will leave you wondering what one could possibly do when destiny plays a cruel game and makes two people in love part ways. It will also make you think about what a person must do if the only person they love starts hating them the most. Read the love story of Ravi and Priya, which will keep you gripped till the very end. Satyapal Chandra is an Indian author, lyricist, director, screenwriter, motivational speaker and entrepreneur. He is the founder of Xploration World. Some of the other works he has authored are: The Most Eligible Bachelor, Golden Angel and the Darkness of Midnight, An Innocent Traitor, A Crazy Careless Life, and After All You are My Destiny. Nazia Tasneem is a young Indian author. She also writes poetry. A touching novel with sorrows of love between two hearts and as we see many ending with breakups here also the same but author said with poems and through diaries which makes this unique, language used was simple and touched with character of Ravi, by Ravi authors says there is a future after failure and sacrifices of priya after she knows he having brain tumour is somewhat touched to me by way of author's description. Liked it much.